We offer a Metal Picket Replacement Kit with instructions for the do-it-yourself'er. San Diego’s premier Italian Wrought Iron & Stainless Steel Showroom. With over 75,000 different profiles and a huge on-site inventory, we challenge your imagination to go wild! Wrought Iron from the best Italian Craftsman combined with sleek Stainless rail systems make this a must see for business and homeowners. We offer contractor discounts, fabricator referrals, and design areas / boards to assist in design layout. 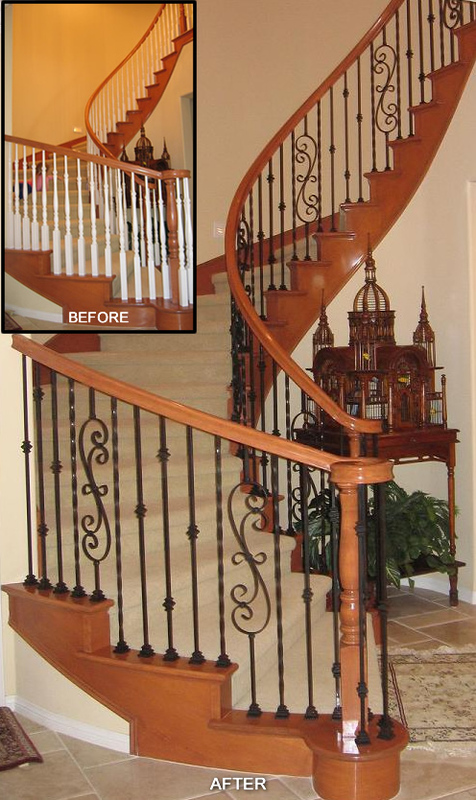 Whether it’s a stairway, spiral staircase, stainless cable, window design, stand alone panel, or fabrication hardware, we offer the largest selection and literature available.